Spring-cleaning is hardly a new concept. But this season, thanks to Marie Kondo’s buzzy Netflix show, "Tidying Up," everyone seems to be decluttering en masse, explains Kate Spiro, an interior designer in New York City. Getting rid of anything that doesn't spark joy is just the beginning, though. Organizing what you really want to keep is the next level of commitment, Spiro explains. "This season, I think a lot more people will be looking to ... purchase baskets and decorative bins for storage, as well as revisit different elements in their home to see if they are worth keeping,” she says. Just don't be surprised to see long lines at your local container store as all your neighbors get in on this one. Boho isn't just about channeling the college-kid festival look. Today's natural boho elements—like rattan benches or woven wallpaper—can fit into any space. Paired with a clean background, these elements will freshen your home's look in a way that's perfect for a new season. Using "simple, neutral colors and adding natural materials are a great way to incorporate a spring vibe," Spiro says. 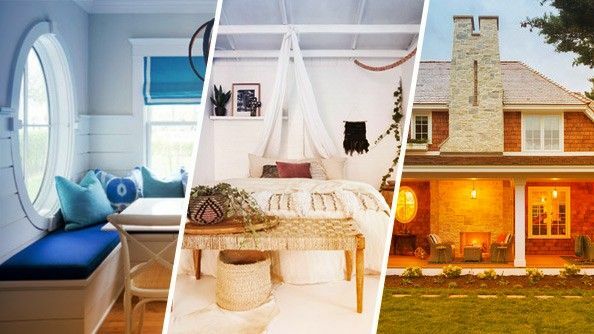 "Jute, woven materials, wood, and rattan will go with any existing color palette, so it is really easy to incorporate into your current home decor." 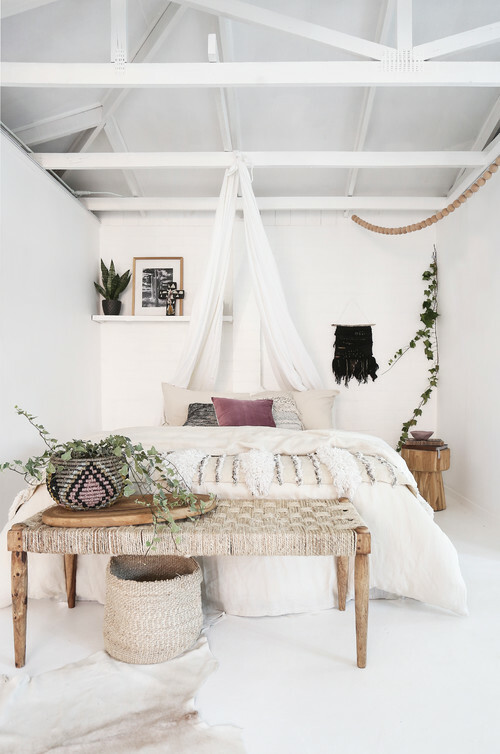 She recommends accenting your boho furnishings with bright throw pillows, decorative objects, and plants to help any room feel brighter for spring without spending a ton of money. If you're ready to refresh your home for spring, it's time to dive deep—as in the deep-blue sea—and add some drama to your space. Use any shade of the sea, from tranquil turquoise to bold cobalt blue, or mix and match. "Sea blue is a great choice for modernizing somewhat tired interiors this season," Spiro says. "Include sea blues into your space with furniture upholstery, or paint the bottom kitchen cupboards to raise your space to a higher level." If you aren't ready to commit, look for sea blue accessories like throw pillows and artwork you can always change out later. 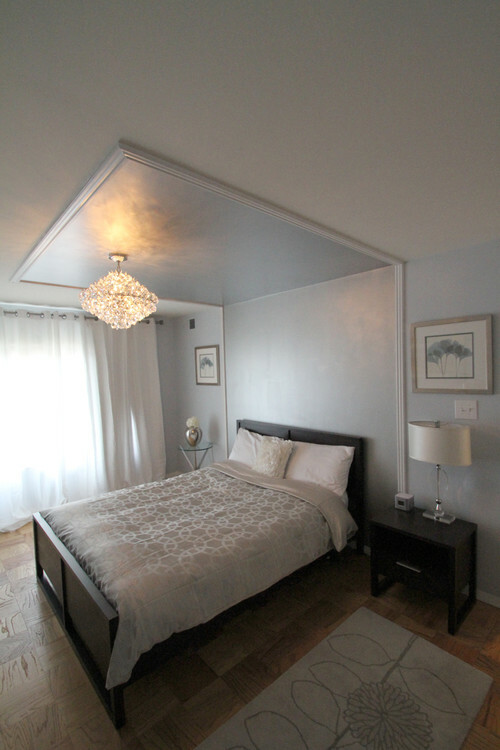 Looking for an easy way to make a special room in your home feel a bit more luxurious? Enter iridescent paint colors. This shimmery paint option gives your walls a unique look that's a bit futuristic, Li says. "My newest obsession is with pearlescent iridescent paints," she says. "They offer a soft, yet beautiful glow with hints of color that you notice in certain lights. So, for instance, in the morning they give a different feel than they do at night. Both are exquisite!" Don't go overboard on iridescent, though—instead try them on an accent wall, a ceiling, or furnishings that are looking a little lackluster. In years past, it might have been rare to see a front porch decorated with more than a few Adirondack chairs and some planters. 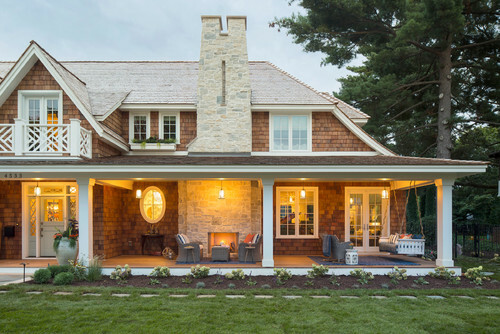 But front porch decor is getting more elaborate this spring as homeowners place more emphasis on indoor-outdoor flow, says Joe Raboine, director at Belgard Harscapes, in New York City. "Designers are increasingly including front porches in new construction plans, and homeowners are making those spaces an extension of outdoor living in the front of the home," he says. In fact, even front porch fireplaces are beginning to emerge as a trend in this space, he adds. Is your front porch the size of a postage stamp? You can still bring it to life with a hanging swing and some greenery.